Welcome the New Year in the heart of the Shuar and Sápara’s pristine ancestral rainforest on this first time offering. 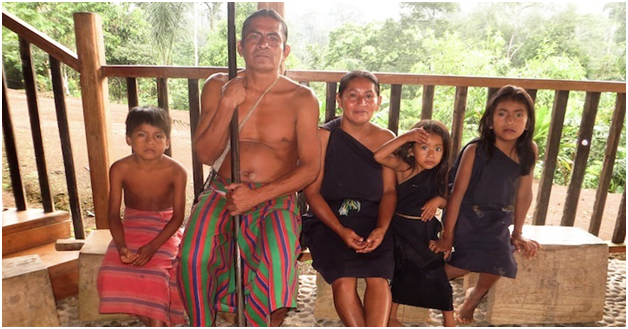 Our Shuar friend and visionary leader of the Pachamama Alliance’s Jungle Mamas initiative, Narcisa Mashienta, and her extended family will accompany us in the village of her birth, Yuvientsa, to share the miraculous beauty, power and wisdom of her land and culture. Then we’ll head north to our deeply spiritual Sápara partners whose territory and culture have received UN world-heritage status but remain threatened by oil exploitation. We’ll be accompanied by national indigenous leader and dream shaman, Manari Ushigua, and his family including his mother, Mukusawa, a traditional wisdom keeper and one of the last living speakers of their ancient language. Building upon three powerful consecutive offerings and the deep partnership of Pachamama Journeys Director, David Tucker, and School of Movement Medicine founders, Ya’Acov and Susannah Darling Khan, Dancing With the Heart of the World moves toward the most in-depth Amazonian offering yet to our founding Achuar and Sápara partners. This intensive journey, working with a variety of shamanic, movement and creative processes, will be highly participatory, appropriate for those who have both significant experience with inner personal work and a commitment to being part of the solution in these critical times. 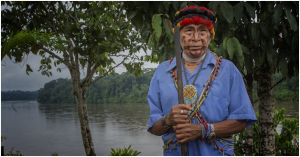 The Achuar are among the world’s last unconquered peoples and their intact warrior spirit is now fully dedicated to the fierce protection of their rainforest home for the benefit of the entire planet. To spend time in the presence of their grace, generosity and clarity, at their invitation, is an honor and privilege. This classic, time-proven offering brings you into intimate contact with our founding indigenous partners in the heart of their pristine rainforest territory—the crown jewel of a 10-million acre region that Pachamama Alliance has worked within for two decades. This Journey offers the perfect blend of rustic and comfortable with stays at the special community lodge of Ti’inkias and the highly acclaimed Kapawi Lodge—both owned and operated by the Achuar. Prior to entering the forest, we’ll have the ideal introduction to Ecuador and indigenous life-ways through an inspiring home-stay with the Karanqui, Quichua people of San Clemente on the flanks of the sacred Imbabura volcano. 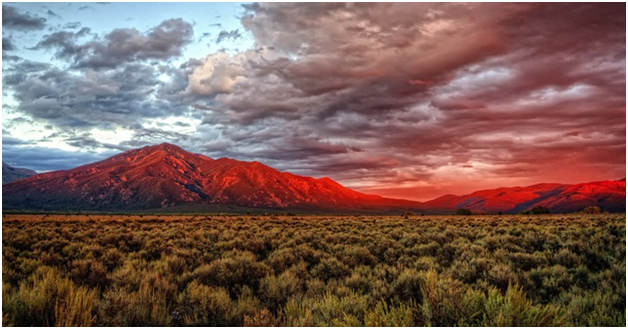 Join us for a special Pachamama Journey in the North to the ancient lands of Northern New Mexico near Taos. In this first time offering, Weyakpa Najin Win—Woman Stands Shining (Pat McCabe) of Diné (Navajo) Nation—will generously take you through her personal journey, as a way of informing, inspiring your own. Experience the powerful land and sacred practices that awakened, healed, and guided her to be the leader and wisdom keeper she is today. On this journey, participants will have the unique opportunity to access a critical body of knowledge and wisdom from a teacher and guide who is deeply familiar with both the western traditions of the mind—rationality and academia—as well as the ancient teachings or Original Instructions that have guided all of our ancestors from time immemorial. She is an important bridge and translator of these worlds. 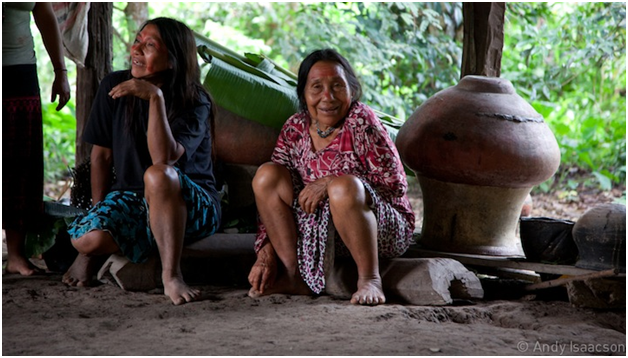 Join us for an unforgettable immersion with two extraordinary and complementary cultures, the Achuar and the Sápara. 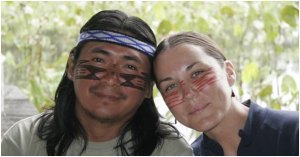 They are powerful allies for one another and have been working with the Pachamama Alliance for two decades to preserve their ancestral cultures and territories. 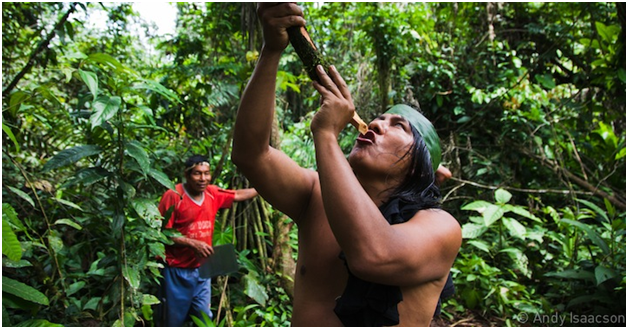 The legendary Achuar, with their courageous warrior spirit are dedicated to protecting the pristine rainforest on behalf of us all. The deeply spiritual Sápara who’s commitment to the healing power of the forest and finding viable alternatives to oil exploitation has preserved their culture against all odds. 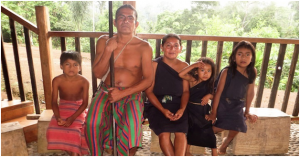 With stays at the Achuar community lodge of Ti’inkias and the Sápara community-based project of Naku, there will lots of opportunity for intimate connection and sharing with these remarkable people. 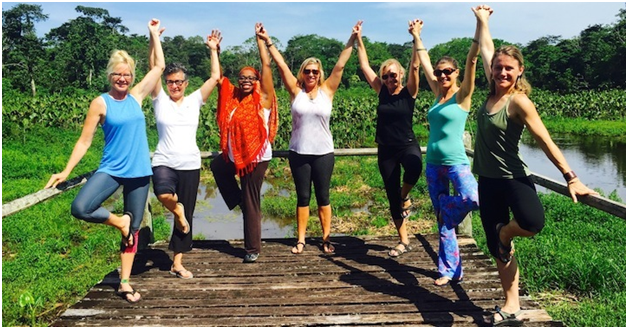 We are thrilled to offer this special immersion with our longtime Sápara partners and friends. In the face of imminent oil exploitation and an endangered culture, these peaceful warriors are determined to develop viable alternatives that not only protect and preserve their forest and way of life, but also serve as a model to inspire the rest of Ecuador and the world. 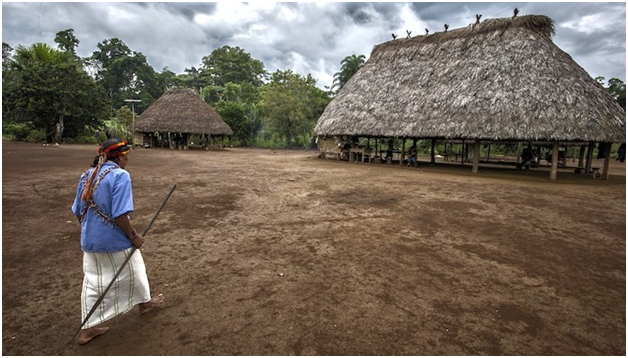 From this vision, Naku—meaning forest in the Sápara language, which received United Nations world-heritage status—was born. It is the community-based project where we will stay and has a special emphasis on the healing powers of the forest and plants. 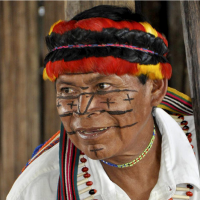 We’ll be accompanied by Sápara leader and healer, Manari Ushigua, and his extraordinary compassionate and caring extended family. Prior to entering the rainforest, we’ll have the ideal introduction to Ecuador and indigenous worldview through an inspiring stay with the Karanqui, Quichua people of San Clemente on the flanks of the sacred Imbabura volcano. For the second year in a row, we extend a special invitation to change-makers—people who are working toward a more just and sustainable future. 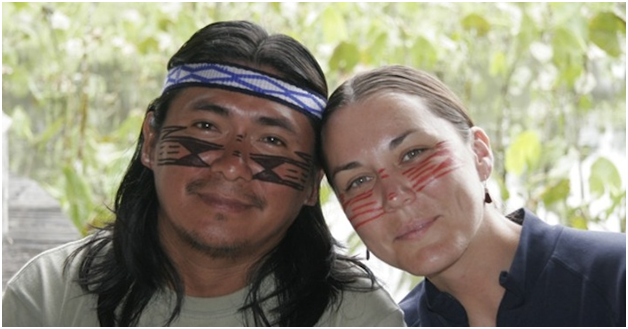 Immerse yourself in the Earth’s deepest natural beauty and wisdom—the pristine Amazon rainforest and high Andes in Ecuador and the indigenous stewards who live there. Take the precious opportunity to allow yourself to fully let go and feel your passion in such a way that reminds you of why you do the work you do. Replenish yourself through a once-in-a-lifetime experience with travelers who share your commitments. Emerge from the experience renewed, reignited, clear and more committed than ever to do the work that is yours to do, and that must be done at this critical time in history. On this unique Pachamama Journey, you’ll join a group of like-minded, awake individuals for the journey of a lifetime engaging your heart, mind, body and soul. Yoga and self-inquiry will be utilized to integrate the profound experiences in the forest, while exploring our interior selves with the intention of igniting our personal gifts and purpose in service of the world at this critical time. Accompanying our journey will be the Pachamama Alliance’s iconic founding indigenous partners, the Achuar, who are committed to protecting their pristine ancestral rainforest home and culture for the benefit of all life. Their warrior spirit, generosity, grace, and humility will deeply touch you and offer a remarkable example and reference for how human beings can be in the world. 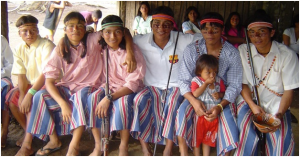 We’ll stay in the lodge of the visionary community of Sharamentsa and renknown Kapawi Ecolodge, both owned and operated by the Achuar. Join acclaimed author, speaker, activist and mystic, Andrew Harvey, and Pachamama Journeys Director, David Tucker, on a powerful exploration around what it means to be a man in today’s world. With the pristine rainforest, indigenous partners and their intact, nature-based cultures as our guide, we’ll embark on a journey that will awaken the truest sense of masculinity and unleash our greatest gifts at a time when the world needs them most given the serious challenges humanity faces. 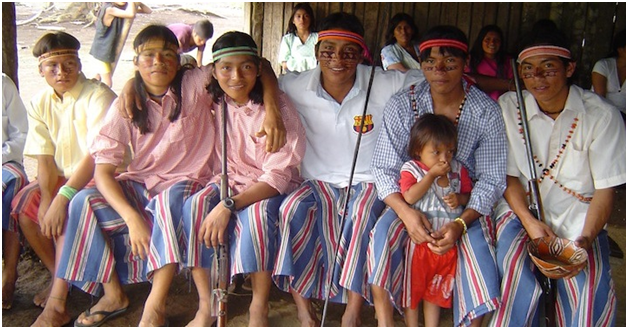 The Shuar and Sápara are both longtime indigenous partners of the Pachamama Alliance. Their men embody a healthy masculine that has been taught and emulated over many centuries and includes qualities such as kindness, compassion, humility, generosity, heart, and strength in service of the forest, family and life. Learn these qualities directly from people who haven’t forgotten our original instructions for being human and living in proper balance on the planet. Join us on this once in a lifetime experience!